Chiropractic care is a safe solution to combat the millennial hunchback in Westminster, MD. 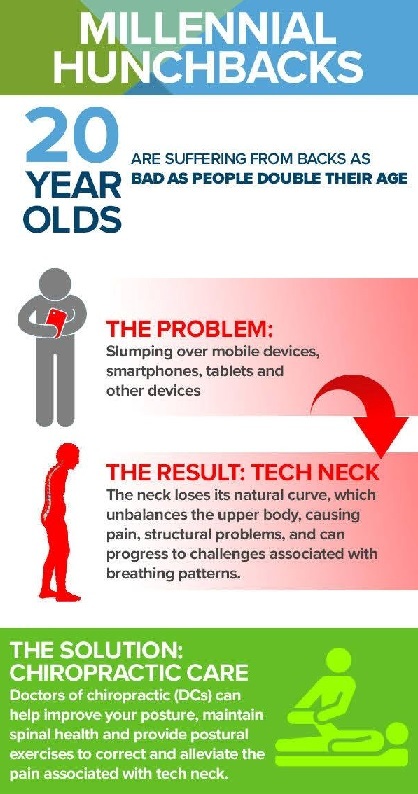 Tech neck is painful and 20 year olds are suffering from backs as bad as people DOUBLE their age. Chiropractic care is a safe solution to combat the millennial hunchback.